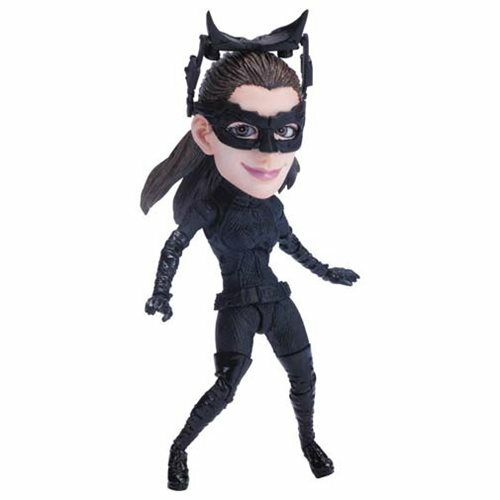 Sultry and playful as ever, this super-deformed figure of Selina Kyle in full feline gear is puuur-fection! From Christopher Nolan's action-adventure hit, The Dark Knight Rises, Catwoman stands just over 4-inches tall and comes with an alternate gun-holding hand (with gun) and a distinctive display stand with support arm. Ages 15 and up.